Due to the dramatic increase in the number of cases of whooping cough the UK has seen, the Department of Health are considering providing vaccinations for newborns to protect against it. This is one option that is being looked in to as the number of cases in England and Wales is already three times higher than for the whole of the last year. If the Department of Health do decide to expand the vaccination program, then it is a decision that won’t be taken lightly. In the current vaccine programs, babies are offered the vaccine at two, three and four months old. The Health Protection Agency said last week that it was very concerned about the rise and warned parents to look-out for the symptoms of whooping cough and to make sure that their children where vaccinated on time. The Department of Health’s committee are considering whether to vaccinate more people to try and help tackle the outbreak. 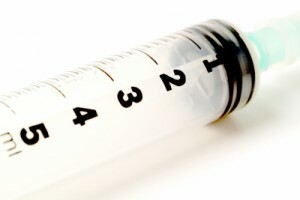 This could mean booster doses for teenagers, and jabs for pregnant women and newborn babies as well as their families.